I got a question How to skin chickpeas Do you want to skin chickpeas like the person who wanted to know about how to remove chickpea skins? Here is what the visitor said and you will find my answer further down. Thank you for your simple, thorough instructions regarding how to cook chickpeas. I have a question that I'm hoping you will be able to answer. I am (obviously) new to chickpeas and love them. However, they seem to have a "skin" or "hull" on them. Does that need to be removed? If so, is there a quicker way to remove them than to peel each off individually? 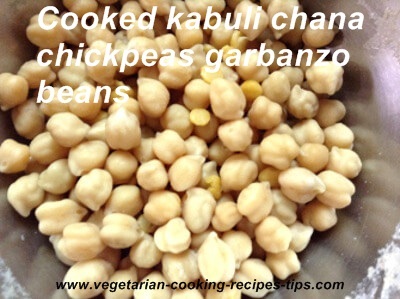 I love chickpeas and cook them often. I always use them along with the skin. When the chickpeas are cooked soft, the skin is soft too. Personally, I have never felt the need to remove the skin. But if you like, you may remove chickpea skin in the following way. You will find this as a quick method to remove skin from the chickpeas compared to peeling each one individually. After your chickpeas are almost cooked (either in the pot on the stove top or in pressure cooker), take the pot off the heat and add a few glasses of cold water to it. The skins will crack and loosen and float on the top. Remove them with a slotted spoon. Stir the chickpeas and more loosened skins will come to the top. Most of the skin can be removed in this way. If a lot of skin still remains, put your hand in the pot (it will be cold because of the cold water) and take a fistful chickpeas at a time and rub them lightly with your fingers. (Do not use any pressure while rubbing. You will get mashed chickpeas with skins mixed). Now the remaining skins should also come off. Remove them with a slotted spoon. If you want to cook your chickpeas further for chickpea curry or soup, to soften them more, you can do that now by boiling them a little longer. Add the chickpeas onto a colander if you want to remove the excess water (if you don't need water for your recipe). 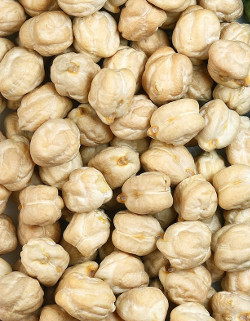 If you want to dry them some more, spread the chickpeas on a cloth or a towel and allow drying a little under a fan or leaving them on a plate in the fridge. Use the skinned chickpeas as you want. May be for making Fried Chickpeas. Hope this answers your question about How to skin chickpeas? Do you have any cooking questions or questions regarding recipes or food preparation? Use our cooking questions form to ask the question. You may also add information or comment on other questions and answers. 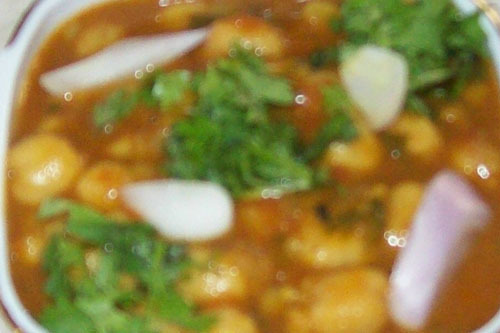 Cabbage Fry - A cabbage and split chickpea(chana dal) dish.